I’ve had Vincent Price on my mind the last few days. I loved that man. He was such a great actor and his voice was awesomely wicked. I’ve been hearing Thriller on the radio a lot the last few days and I just adore the part where Vincent recites the poem. When he says, “the foulest stench is in the air, the funk of 40,00o years…” I can almost smell of whence he speaks. 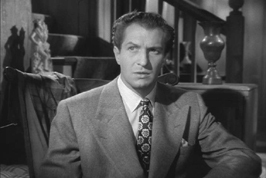 I was watching Laura the other day and was surprised to see him. It had been so long since I’d seen it, I forgot he played one of the characters. It’s a great story. A cop falls in love with a murder victim. Who could forget him in House of Wax? If you never saw that one, it is particularly creepy. Check it out. He was also a great villain- Professor Ratigan- in The Great Mouse Detective– my Number One son’s second favorite animated movie (right behind The Sword and the Stone). 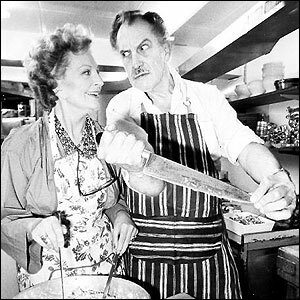 Betcha didn’t know this- Vincent Price was a gourmet cook and wrote several cook books. He also appeared on television cooking shows. I think that’s pretty cool. Vincent as chef? Or serial killer? Or both?